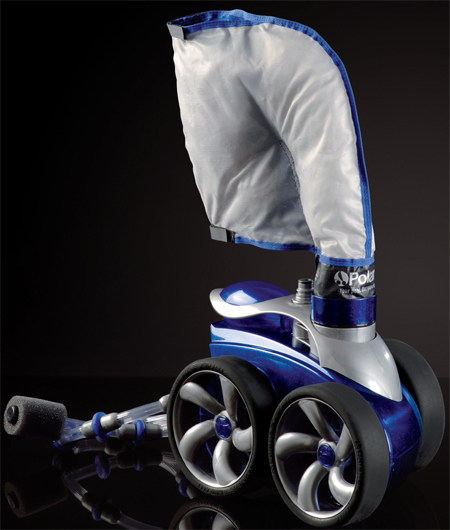 There’s 4 types of automatic pool cleaners: suction, pressure, pressure with booster pump, and robotic. Each cleaner has their advantages and disadvantages, we’ll go over the different types. We highly recommend the use of one of the cleaners in conjunction with a weekly pool service to have a crystal clear pool without dirt and leaves on the bottom. Suction Cleaner – This type was the first type of cleaner designed. It uses the suction from your pump to clean the bottom. Many use an in-line cleaner trap which collects the larger debris and all the fine dirt is removed by your main filter. This is a great cleaner if you do not have larger debris and leaves, not recommended for pools with redwood, maple, cypress, any tree that drops large leaves, branches, or nuts. 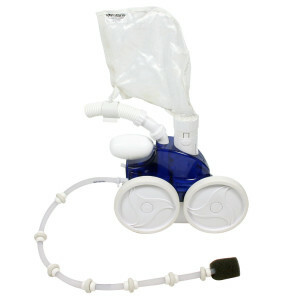 These can be operated with the new variable speed pumps at a lower speed than the others. 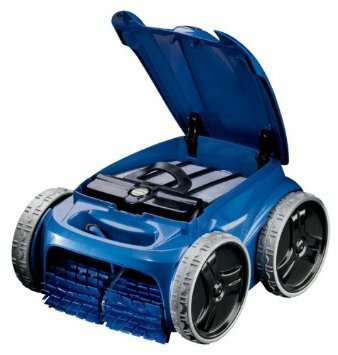 Pressure Cleaner – This type uses the clean water being returned back to the pool to power the unit and sends water pressure into it’s own attached bag where it collects debris. Pressure cleaners work better if you have larger debris since the intake doesn’t have any moving parts to get stuck. They don’t do as good of a job getting all the fine dirt cleaned as a suction. 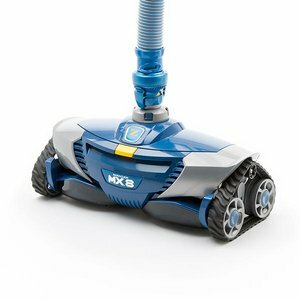 Pressure Cleaner with Booster – These cleaners are the same as regular pressure cleaners only they are used in conjunction with an additional booster pump to increase the pressure. These cleaners have more power and work quicker but on the downside they also consume more energy and need an additional timer to operate. These are about 25% more efficient at cleaning than the non booster version. Robotic Cleaner – These are the newest cleaners on the block. They plug into an outlet using low voltage and have an electric motor that operates them. They feature an on-board filter and debris trap and many have moving brushes like on a vacuum cleaner to help scrub the pool bottom and walls. Some are even coming with a mapping system so it knows where it has already cleaned and where it needs to go next.